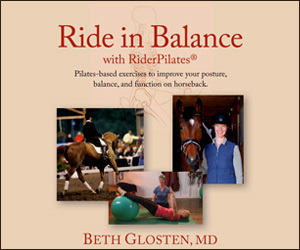 RiderPilates is Beth Glosten MD’s system of applying mindful pilates-based movement and exercises to the sport of horseback riding. You will improve your body awareness and function through private or group movement classes and rider-position focused riding lessons. Beth brings medical knowledge and years of experience working with riders both on and off their horses. Her keen eye can help you sort out balance, position, and pain issues you might have while riding, or during other activities. Please click HERE for the PDF Press Release of The Riding Doctor! 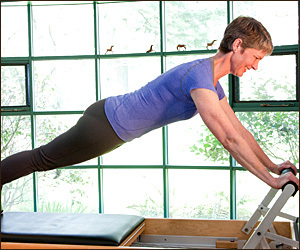 Develop body awareness, core strength, flexibility, and movement symmetry on the spring-based pilates machines. Beth’s keen eye will help you do the exercises safely and with maximum benefit. 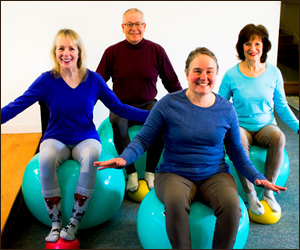 Join fellow equestrian enthusiasts in fun and challenging hour-long exercise classes using fit balls, rollers, and other props. Improve your body awareness, core strength, symmetry, balance, and body control. 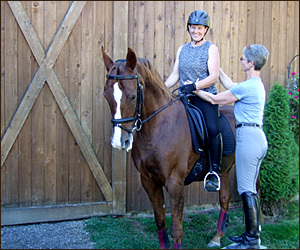 Beth’s riding lessons focus on rider posture, position, and balance. You will gain skills to move with your horse rather than grip against it. Efficiency and harmony are then accessible. Divided into 5 Rider Fundamentals, this book describes Beth’s logical system of cultivating the skills needed to ride well. 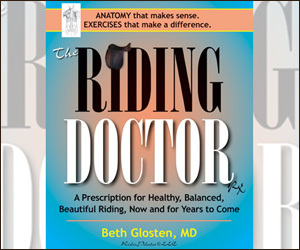 The Riding Doctor is filled with clearly described exercises, anatomy, images, and examples. Take Beth’s voice home with you with this DVD of three different off-horse workout sessions. The DVD includes information to get you started on a home program with clearly demonstrated exercises geared to the rider. Beth is retired from medical practice and a certified pilates instructor. 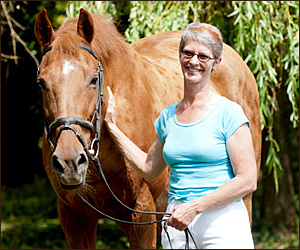 She is an avid dressage rider passionate about helping people understand their own bodies and movement so they can improve their riding skills, and quality of life.